I bought a set of these from Tesco and love them. However, I would add this: The motion sensor is not very high quality. 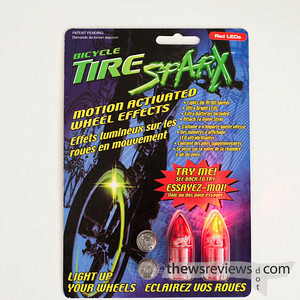 One of my lights works very well - flashes when the bike is moving and stops a few seconds after the bike stops. The second however only starts flashing after going over a big bump and then stops again until the next big bump. 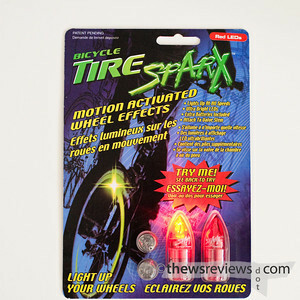 Annoyingly, it also goes off at random whilst the bike is stationary in the garage - I can see it flashing from my house. Summary - recommended; but beware the quality - try before you buy to make sure you get a good set! When will they make some to fit a presta valve?